Microsoft has pushed Windows 10 Insider Preview Build 14352 to the Fast Ring. The latest build introduced a number of updates and bug fixes. One of the biggest changes is to Cortana which can now be used to control a Groove Music Catalog and set a timer. The recently-introduced Windows Ink gains improved Sticky Notes, and the ruler now benefits from the inclusion of a compass. Gamers can now enjoy the Windows Game bar at full-screen in more games, including World of Warcraft, Counterstrike: Global Offensive, and Diablo III. Important changes have also been made to the Feedback Hub. Just days after opening up the Feedback Hub to non-Insiders, Microsoft has now tweaked the app further. The big news here is that responses from Microsoft are now visible in the form of status tags, making easy to see what action is being taken -- if any -- on a particular piece of feedback. In an earlier preview build Microsoft stripped the color out of the File Explorer icon. This, it seems, did not go down well; a brighter version is now reinstated. 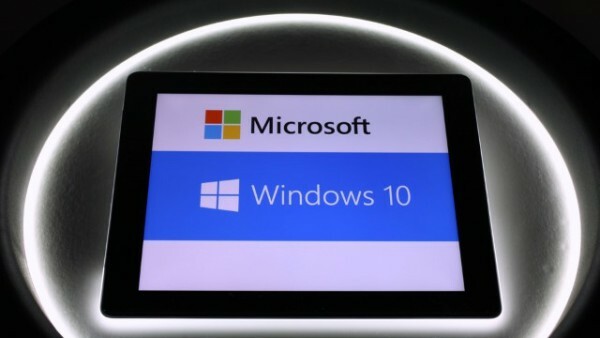 It has been made easier and quicker to upgrade from the Pro to the Enterprise edition of Windows 10. Microsoft has removed the need to reboot after performing the upgrade, so now all that is needed is a change of product key, and enterprise features will be immediately unlocked. This build also sees the introduction of Limited Period Scanning. This new security feature is designed to complement your existing antivirus software and allows the Windows Defender scanning engine to check your computer for threats from time to time. So... check for updates, and start installing!